Eurofins is a global service provider to the chemical industry, offering a comprehensive range of REACH testing and REACH consultancy. We are backed by a large team of experienced scientists and regulatory specialists that are available to support you with all steps of the regulatory process. This includes both phase-in and the non-phase-in substances. 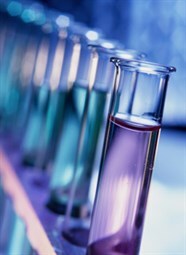 REACH is the European legislation for REGISTRATION, EVALUATION and AUTHORISATION OF CHEMICALS. Companies have to register chemical substances they produce or import into the EU at the European Chemical Agency (ECHA) to demonstrate that the conventional use of their substances poses no risk to humans and the environment. The range of industries that might be affected is extremely wide. Besides Industrial Chemicals also the Agrochemical, Pharmaceutical and Cosmetics Industry might be affected as well as retailers of finished goods. have to register all chemicals if produced or imported into the EU in an amount of 1 tonne or more per year. Without registration, further use or marketing of the substance is forbidden. are companies, which are using chemicals without producing new chemicals. They are only responsible for registration, if they, in addition to the purchased substances, also synthesise or import their own chemicals. Further, the downstream user has to confirm whether his use of a chemical is already accounted for in the Chemical Safety Report (CSR) of the manufacturer. If not, the user needs to contact the manufacturer and request that his use of the chemical be included in the CSR or prepare a CSR himself. This applies to manufacturers and importers of chemical mixtures, and to manufacturers and importers of articles (finished goods). normally are not having obligations under REACH (for exceptions see our special retailers page). But retailers may be obliged to report absence or presence of Substances of Very High Concern (SVHCs) in the sold products. Please find here information about needed test data depending on tonnage band.